Business results depend on improved visibility into complex, hybrid cloud infrastructures - before, during and after migrations. 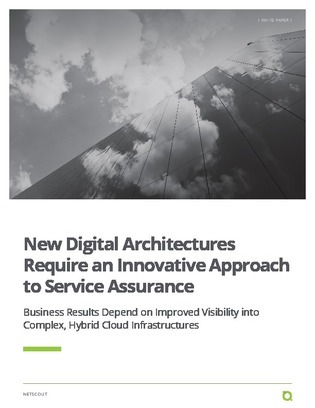 NETSCOUT provides holistic visibility, eliminating the blind spots between public, private and hybrid-cloud environments. Cloud expert and author, Joe Weinman discusses how digital architectures are becoming exponentially more complex at an accelerating rate, due to more infrastructure options, greater resource dispersion, and finer applications granularity.